I often told my students that the art and challenge of a film and television director is “attention management,” capturing and holding the viewer’s attention and moving it from place to place within and between scenes. In ancient cultures chiefs, rulers and landlords played that role, sending out “criers” who went around shouting the news and information they wanted their subjects to know about or take action on. Ever since, the rapid evolution and expansion of communication technologies has occurred as a consequence of complex societies where many more people wanted attention—and for many more reasons. On October 31, 1517, Martin Luther, a monk, nailed a list of grievances against the Catholic Church onto the door of a chapel in Wittenberg, Germany. A consequence was the Protestant Reformation. In June of 1982, I tacked a notice on telephone poles and community bulletin boards inviting people to come to a local park to discuss ways to promote Cincinnati as a “City Of Light,” a place where notable thinkers and achievers in the arts, sciences and humanities would come to dialogue and express their views on stage and on television. Fifty people showed up and met once a week for four months, but the financing we needed didn’t materialize and that was the end of it. 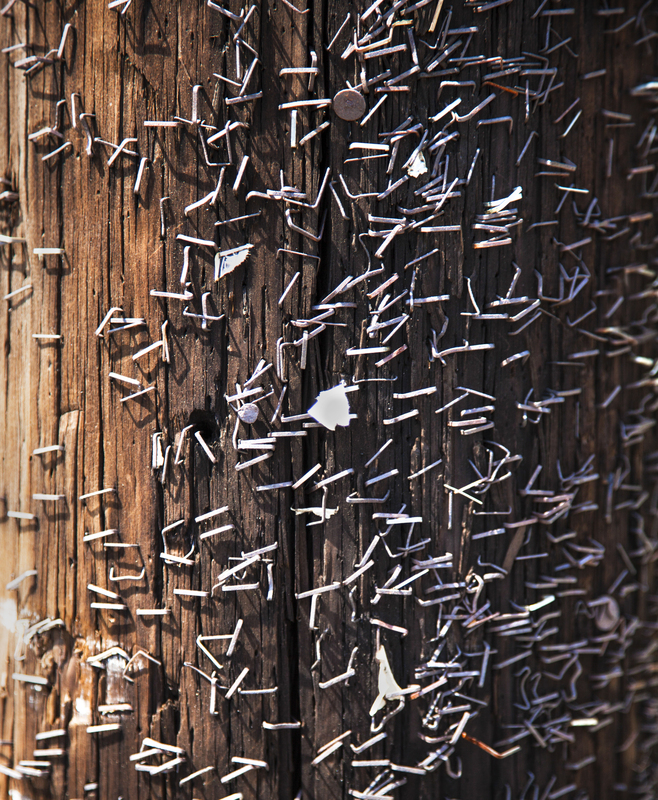 In July, 2012 I photographed this thoroughly stapled telephone pole near Ohio State University in Columbus, Ohio. I imagine that, as a consequence, uncountable numbers of people attended theater performances, convened at symposia, lectures and recitals, found lost animals, bought and sold property and goods, offered and secured services and met their significant others. Represented on this pole is a nexus of attention. And while it may still be used to attract attention, we now have an intercommunicating network of technologies performing that function through cables and between satellites and land-based towers, enabling potentially every person on the planet to capture, hold and direct the attention of everyone else. Technology pundit Esther Dyson wrote that “The most important finite resource in the late 20th century is people’s attention.” More recently, author David Shenk observed that “As competition heats up, in order to get our messages across, we have to wrap them in ever more provocative and titillating packages; we TALK LOUDER (his emphasis), wear more and brighter colors, show more cleavage, say shocking things.” It’s the phenomenon of “desensitization.” Because repeated attention diminishes our response to dramatic sights and sounds, filmmakers and television producers feel they have to keep raising the bar on violence, sexuality and special effects in order to gain and hold our attention. Executives in the radio, television and film industries say they’re in the business of delivering news, information and entertainment. Increasingly however, it has become apparent they are actually in the business of maximizing attention, arguably with less interest in content and more interest in securing “eyeballs for advertisers.” Having invested many years in the television industry professionally, and after having researched its history, structure and social function, I’ve come to the conclusion that commercial television is stuck in a period of prolonged adolescence because that’s the current state of the dominant culture. Television is a social mirror. It reflects the mentality of the people it serves. So as long as we viewers are passive consumers rather than active advocates demanding intellectually stimulating, inspiring, empowering, personally enriching, useful and socially responsible programming, we will continue to complain that there are “hundreds of channels and nothing’s on.” Nonetheless, as a long term optimist, I believe there will come a time when television will reflect and serve a society that has evolved into adulthood. Where we are right now is not a bad place. A multitude of pressures, especially those relating to economics, environment and security, are urging us to learn that our communication “toys” have the potential for higher purposes. But before these can be realized we have to learn how to use them securely and responsibly. I believe that, through these pressures, including long term public dissatisfaction and industry experimentation, television professionals will come to appreciate the medium’s higher potentials and discover that delivering substance has survival value. Currently, power is perceived as residing in the technologies themselves, but these are just the means of message production and delivery. The greater power resides is the delivery of real value, images and messages that contain substance—content that matters, that helps us relate better, construct meaning and build more satisfying and contributing lives. As a nation becomes more complex and realizes its interdependence with other nations, it could even become necessary for the media to turn its attention more toward matters of personal safety, growth, social development and environmental stewardship. Public television has been a leader in this regard. Because attention is a choice, it’s formative. It shapes us. And it defines us. A guideline prescribed for novelists is to reveal the truth of a character more through their actions than through their words. Socially, because the mass media, particularly television, provides a common “reality” reference for most of us, our collective attention generates “memes”—units of culture, including colloquial language, gestures, fads and trends in fashion, food and music. Memes largely define what is “cool” and acceptable in the culture, so advertisers keep them in front of us to entice us to “spend” our attention capital—dollars— accordingly. 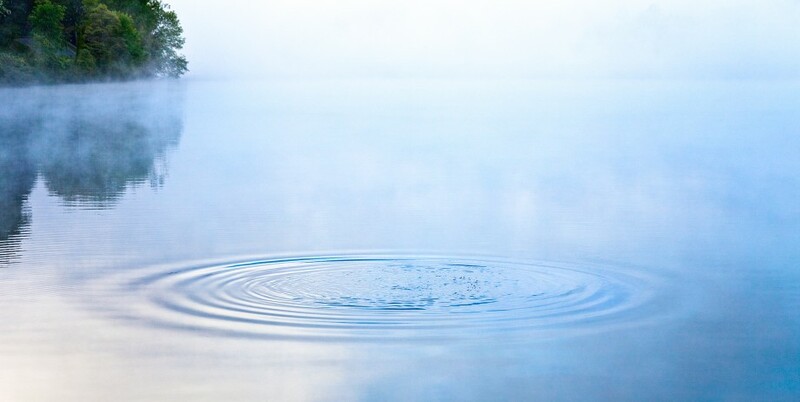 Anthropologist, Edward T. Hall, wrote that “Culture is what we pay attention to.” So knowing that my attention is simultaneously cultivating myself and society, I can more consciously choose to direct it. What we pay attention to is no trivial matter; we are what we attend to. I went to the Ohio State University campus in July, knowing that there would be fewer students and therefore less chaos and more freedom to shoot. After photographing some architectural features and other subjects, I was returning to the car when I saw this telephone pole. Because of the many staples, it “spoke” to me as an example of a low-tech way to capture the attention of passers-by. Using Photoshop, I increased the sharpness and contrast. Also, I boosted the color saturation to make the wood more vibrant than it appeared in the original.